Most of the mixed-media works on this site were created using the gum transfer method (also known as Xerox lithography). After rubbing gum arabic into the toner of a xerox copy, oil-based ink is rolled onto the paper. The ink sticks to the toner but washes away from the white areas with water. 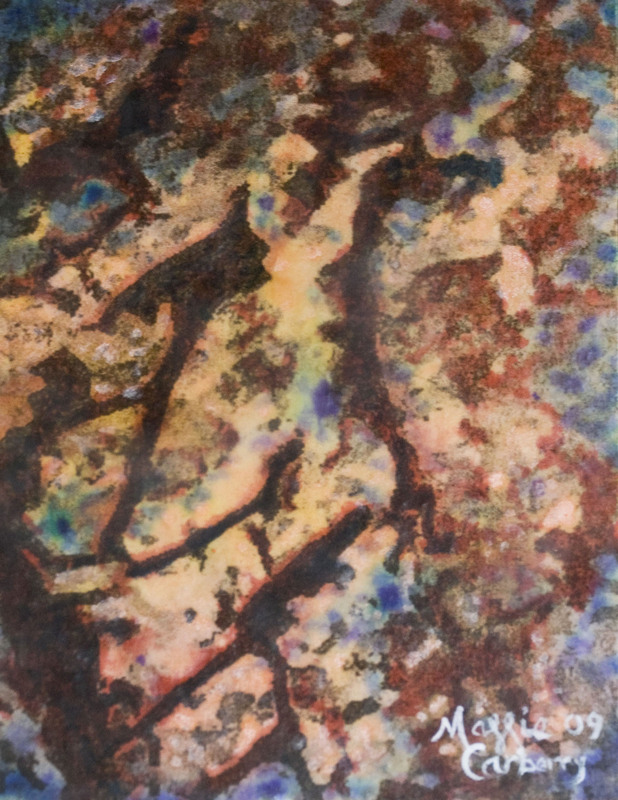 A print is then made onto absorbent paper and water based ink, acrylics, or encaustic paint is applied to the image. The final piece is mounted onto heavier printmaking paper, canvas or wood. Although I often create a series of four to five prints from each photo, the inconsistency of the method guarantees that no two pieces will be exactly the same.